From the Ermita area, a meter taxi should cost about 150p. The ride to the airport could take anywhere from 15 mins to an hour depending on traffic. 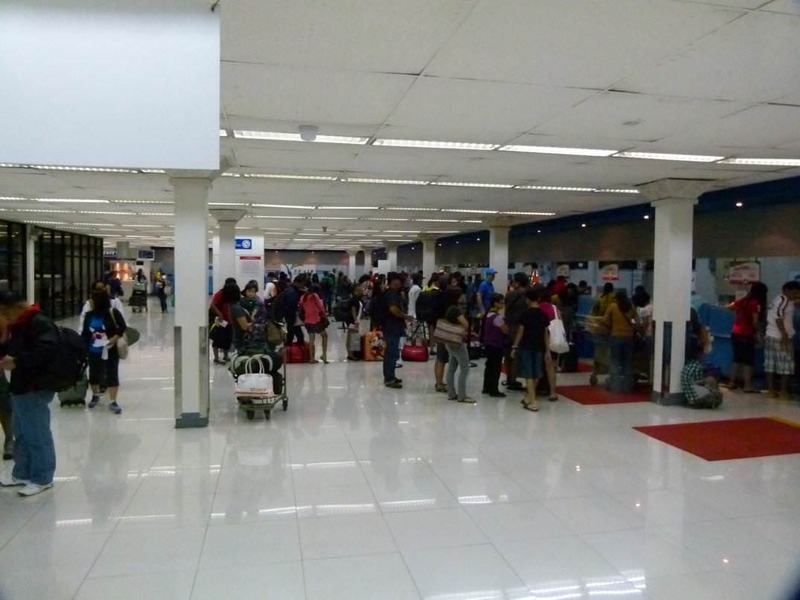 The Manila International Airport is broken up into different terminals. 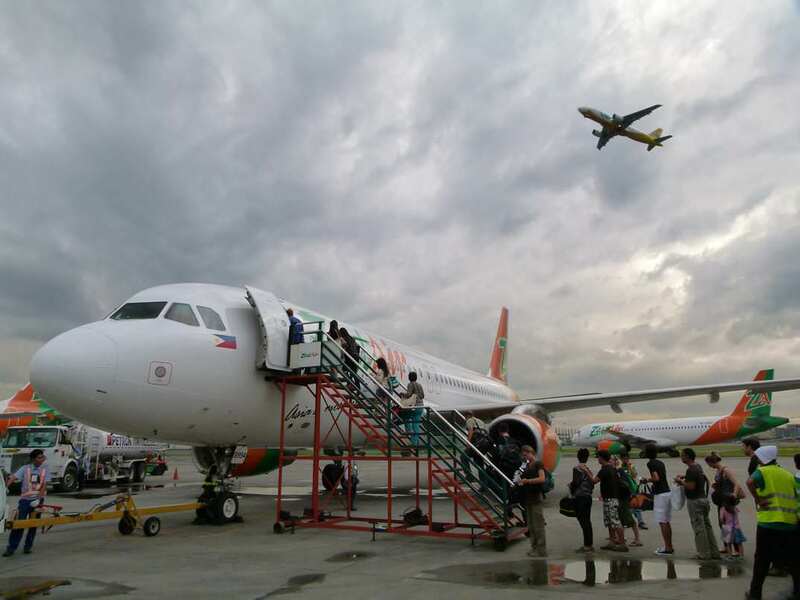 Terminal 1 services most arriving international flights, Terminal 2 services only Philippines Airlines (both domestic and international), Terminal 3 services Cebu Pacific and Airphil Express (both domestic and international) and Terminal 4 services the domestic flights with Zest Air and Seair. Terminal 3 is actually quite big. There’s more restaurant options before going through security than there is afterwards. 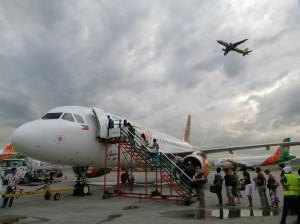 Upstairs you will find a 7-11, Mister Doughnut, Kenny Roger’s Chicken, Jollibees, a cafe serving coffee and cakes, an Asian restaurant and even some outdoor stores. At the security check, you will need to pay a 200p departure tax. After the security check, there are only a few options for eating: a couple of basic hotdog/burger stands, Cinnibon and a small coffee shop. Terminal 4 is very small. 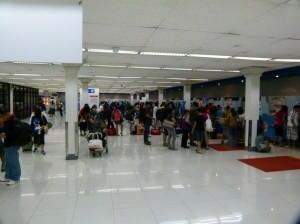 Once you enter into the terminal, there are a few counters for checking into the flights, a money changer, a toilet and a very small coffee place. You will need to pay the 200p departure tax before going in to the terminal waiting area. In the waiting area, there a coule of places to eat: Cinnibon, a Filipino food place and a shop selling sandwiches and pasta. 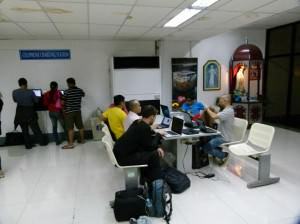 In Terminal 4 there is free wi-fi and they have even set up a ‘laptop’ area with chairs, a large table and many plug ins.